National Defense Monument outside of the Catacombes of Paris. Day 4 of our trip and another wait in line, luckily kids get prime seating. 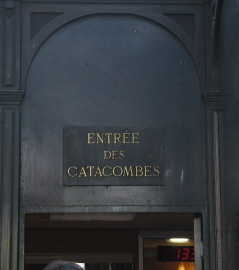 Entrance to the Catacombes. 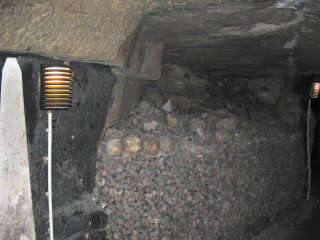 In 1785 it was decided that it was more hygienic to remove bodies from the overflowing cemeteries of Paris and to move the bones to unused tunnels to underground quarries throughout the city. 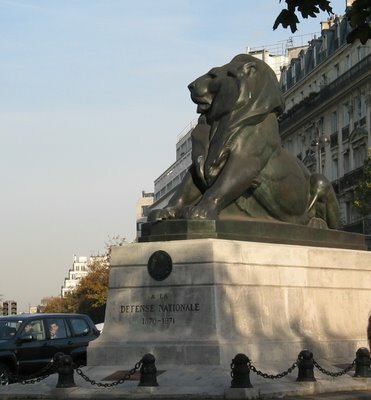 There are millions of Parisians stacked neatly along the walls, each area has a plaque indicating the cemetery where they were taken from. 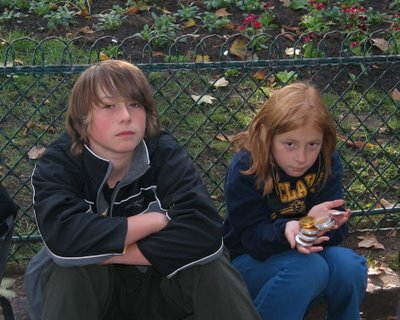 It was certainly an experience and Megan and I sped through. You are literally inches away from all the bones and skulls. 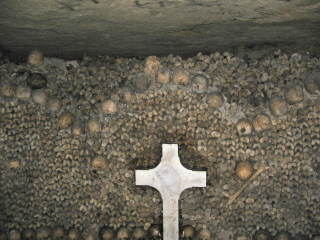 The entire catacombes cover 1.6 km which you walk through.